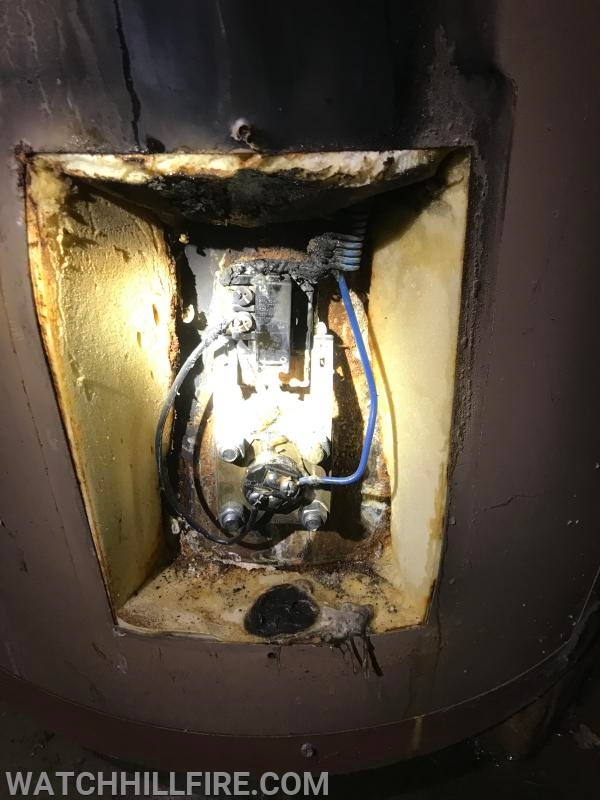 The Watch Hill Fire Department is posting this story as a reminder to residents to be sure to check their appliances and to have a certified technician routinely service and maintain their heating and electrical equipment. On Monday, January 21, at approximately 10:15 PM, the Westerly Police Department took a call from the residents of a Plymton Road home reporting a strange odor in their house. Watch Hill Fire was dispatched to the residence to begin an investigation. First arriving firefighters evacuated the occupants from the home and had them wait in their warm car in the driveway. Firefighters found a light haze and burning smell throughout the home. 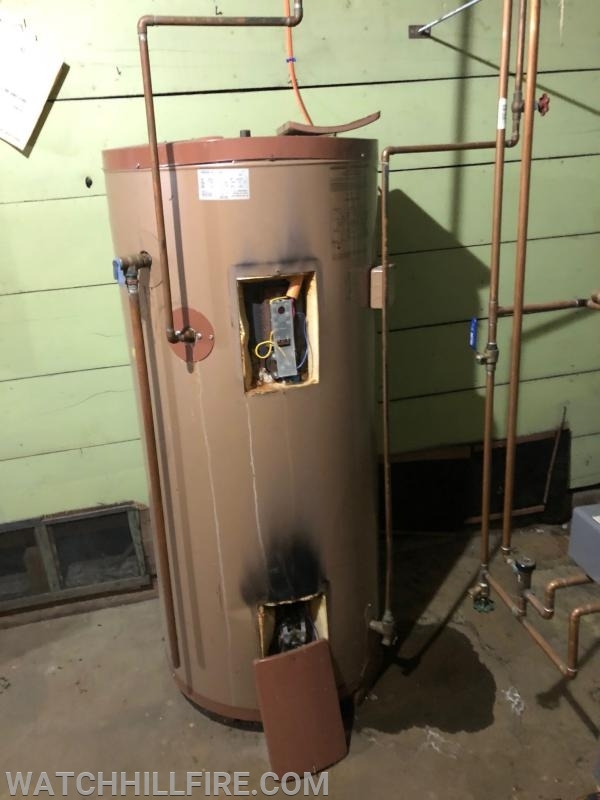 Assistant Chief Harold established command and after an investigation with Thermal Imaging Cameras, Gas Meters, and several teams of firefighters, a shorted and burned heating element as well as charred insulation was discovered in the electric hot water heater in the basement. 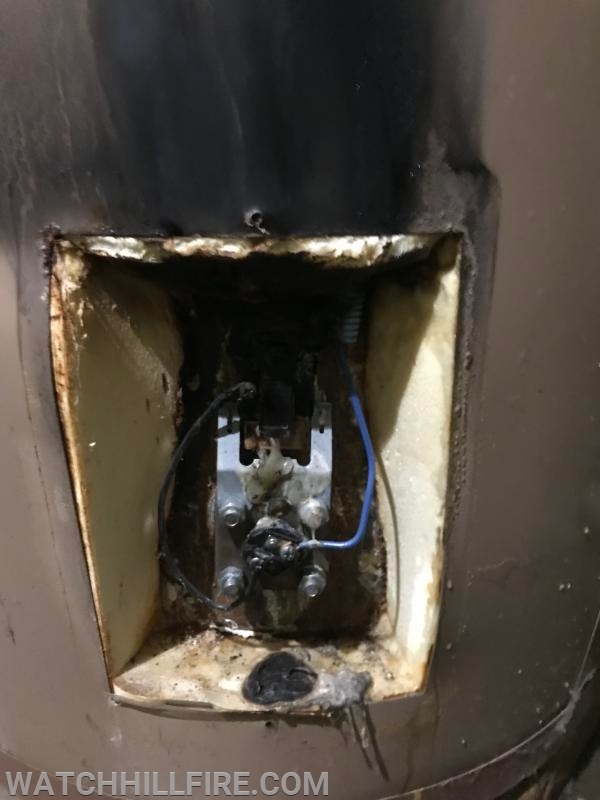 Firefighters secured the power to the hot water heater and confirmed the fire was out with no extension beyond the appliance. The home was metered further to confirm there were no toxic gases present and the occupants were allowed to re-enter their home within twenty minutes. Eight firefighters responded to the scene within seven minutes leaving their own homes on a very cold night with temperatures only in the single digits with a strong wind creating dangerous wind chill factors. We would also like to note that it was easy for firefighters to find the address quickly due to the outside lights being turned on for the responders and due to there being a readily visible house number on the front of their residence. Should you smell any odd odors in your home or feel something is just not right, please do not hesitate to always call 9-1-1 if you need us.